Oakland's premier destination for unique home and fashion accessories. 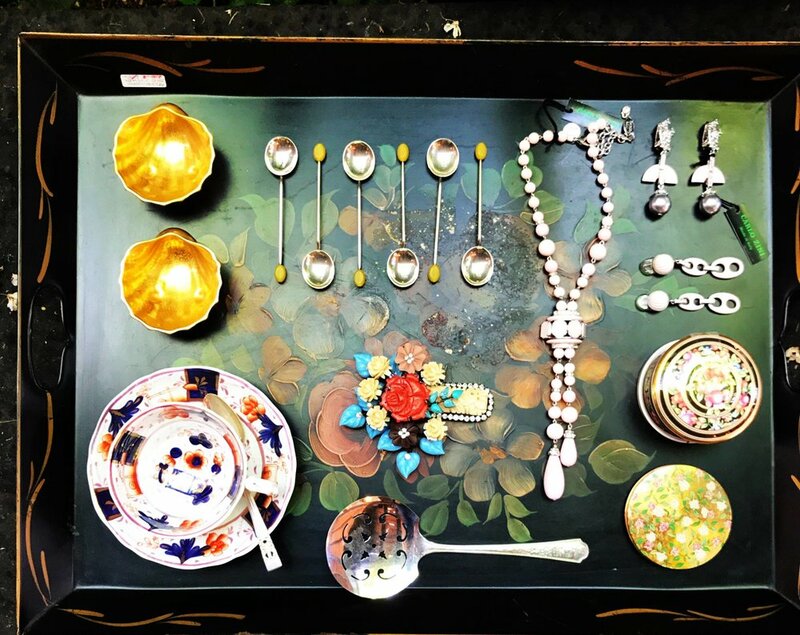 From 19th Century silver serving pieces to modern-day runway fashions, we offer an expansive and ever-changing array of items. Our accessories are from all over the world, and we pride ourselves on finding the perfect pieces for your individual style. Parisian jewelry designer Dominique Denaive has been creating pieces with unique forms and colors since 1981. The jewelry is all handcrafted in his workshop from a unique resin formula infused with crushed Mother of Pearl and brass elements, paired with the iconic 18K gold-plated links and chains. Each color batch is only used once per season, and the remnants are discarded, ensuring that each piece is one of a kind.